Here we are, stuck in the UK between overseas stints. The initial spell of renting in London was followed by a brief but unsuccessful scrabble to climb back onto the London property ladder, so we’ve moved out into Kent. The Boss informs me that we’re now officially FILTH (Failed In London, Try Home Counties). One consolation – at least until Brexit hits us and we lose the Single Market – is that we’re close to the Continent and thus the opportunities for cheap booze and baccy. To my surprise and pleasure I discover that it’s possible to get the car from our place to Calais and back for less than fifty quid. You can buy a 50g pouch of rolling tobacco in the UK for about £20. In France it’s about half that, and if you’re willing to drive 40km each way to Belgium it’s about £2 a pack cheaper still. So if you buy more than five pouches, you’re quids in. What’s not to like? Of course, it does mean that you need to drive on the wrong side of the road. This isn’t really much of a challenge as long as (a) there’s other traffic about, in which case you can just follow what everyone else is doing, or (b) if there isn’t any traffic to follow, you’re sensible about reminding yourself where you are and what side of the road you ought to be on. There’s not much difference in the road signs, at least not the ones giving warnings (triangles) or orders (circles). Unless you’re on a dual carriageway, overtaking is something better left for very quiet roads where you can hang back far enough to move out and see if there’s oncoming traffic. One thing that does grate, though, is the need to buy extra bits and bobs that the UK doesn’t require you to carry around, but other countries do. Actually, that’s not quite true. Most of the extras are not a bad idea to have in your car, just in case things go wrong. Almost all countries require you to have a warning triangle that you can put a suitable distance behind your car if you break down on the carriageway. Perhaps a bit superfluous on a well-lit motorway in good conditions when your hazard flashers are working, but potentially a life-saver on a rainy night in a country lane when your breakdown’s happened just round a blind corner. If the alternative’s having another vehicle plough into yours, then I’m all for the triangle. Same goes for the hi-vis jackets: I’d rather look a bit silly for wearing one, than a lot silly for having been mown down because I wasn’t seen. Fire extinguishers are pretty good too. We all know that European cars are sturdily built and don’t have the same tendency to explode violently that American cars in films and TV shows seem to suffer from. But petrol and flames are still a scary combination, so a fire extinguisher is a useful bit of reassurance. And the first aid kit is always a useful source for a spare bandage if you’ve run out of Elastoplast in the bathroom cabinet. The one that gets me is the breathalyser – compulsory under French law since the early 2010s, apparently thanks to a bit of persuasive lobbying of then President Nicolas Sarkozy by a brand new driving pressure group, I-Test, who managed to get the legislation passed within eight months from a standing start. Given that these kits degrade over time, particularly when subjected to temperatures below 0°C or above 40°C (as they might be in, say, a car’s glove box), you might reasonably question the wisdom of having millions of them rattling round unused for months on end, when the only people who are likely to require their use are the police – who of course can get through a regular turnover of them and thus aren’t likely to be using time-expired or heat-damaged stock. As it happens, it’s a bit of a moot point at the moment, because although it’s compulsory to carry breathalysers there’s currently no penalty for non-compliance. It transpired just a few months after the law was introduced (but before any penalty was decided upon) that the head of I-Test also happened to be a director of a company that makes, er, breathalyser kits. As you’d expect, the French press had a field day. 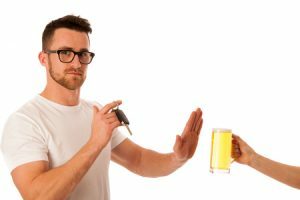 The two companies that make breathalysers to NF ( British Standard) weren’t able to keep up with demand, so the French government have repeatedly postponed the introduction of the €11 fine originally envisaged. In January 2013, eight months after Sarko had left office, they said it would be postponed indefinitely. But some people do still buy them, just in case – it’s just one less thing for the police to nit-pick over if you do happen to encounter them. This entry was posted	on Wednesday 31 May 2017 at 16:14	and is filed under France, UK life. You can follow any responses to this entry through the RSS 2.0 feed. You can leave a response, or trackback from your own site.